Scrummy Cake and Green Buses! There’s nothing better than seeing old transport infrastructure being used in a new way today. And what’s more, if it involves cake, so much more the better! In the summer, I became acquainted with the old Wombourn (GWR’s spelling of “Wombourne”, not mine!) station. Long since abandoned as a rail line, the old branch line is now a country walk, with Wombourn(e) station now a tea room and a welcome sight for walkers! Further up the now defunct line is Tettenhall station. A few weeks ago, I noticed a report in the local newspaper that this too has been adopted as a converted cake outlet (!) – so what’s a man to do? Jump on the bus to investigate! The old station has now been transformed as “cupcakelane” and is a delightful stop off along the old railway walk – and for the less superfit (me!) 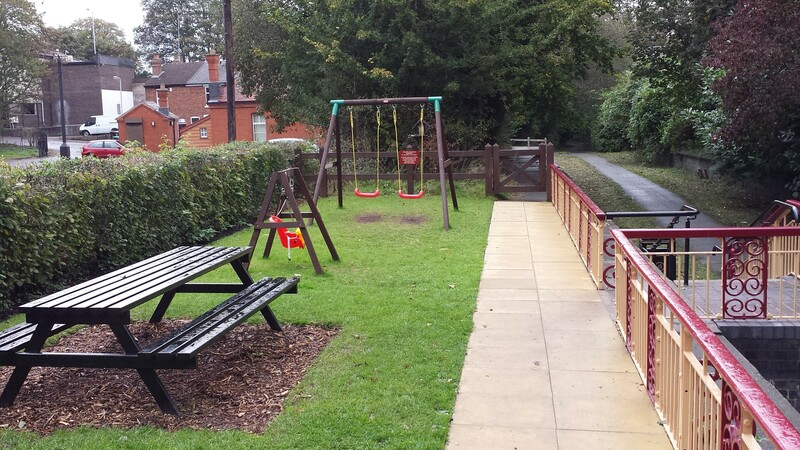 it’s about 2 minutes walk from the number 1 bus route (Dudley – Wolverhampton – Tettenhall Wood). The branch line was never really a success, and one of the Great Western Railway’s less triumphant moments. Opened to passengers in 1925, the link from Stourbridge to Wolverhampton had gone by 1932, although arguably it was more useful as a freight line and continued in this fashion for years later. It was also of great use during wartime, bringing the injured home for treatment at Wolverhampton’s New Cross Hospital. But today, I’m in search of cake! It’s my day off and I’m on National Express West Midlands’ number 1 bus service out of Wolverhampton City Centre, down the Tettenhall Road – a high frequency offering of every seven minutes (plus additional journeys by independent Travel Express) using hybrid “green” environmentally-friendly buses on an artery many Wulfrunians have used over many years to escape towards Whitchurch and on to North Wales. Hopping off at “The Rock”, “Cupcake Lane” / a.k.a. 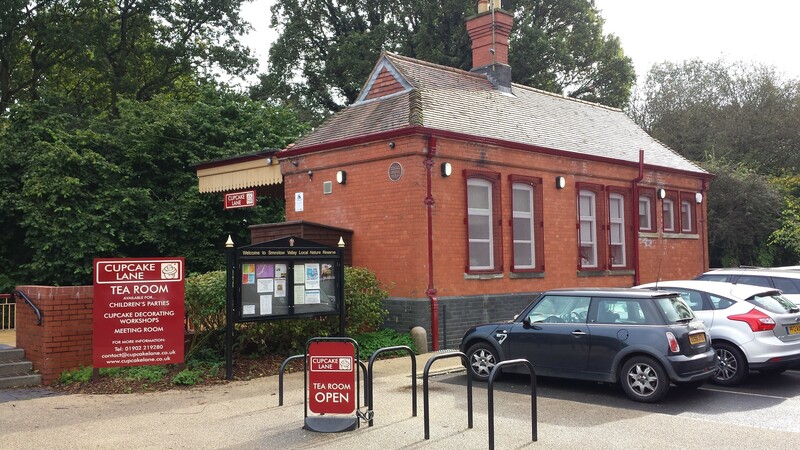 Tettenhall Station is but a couple of minutes walk away, behind Majestic Wines. And what a delight it is! The platform is adorned with attractive seats and a small children’s play area is adjacent. 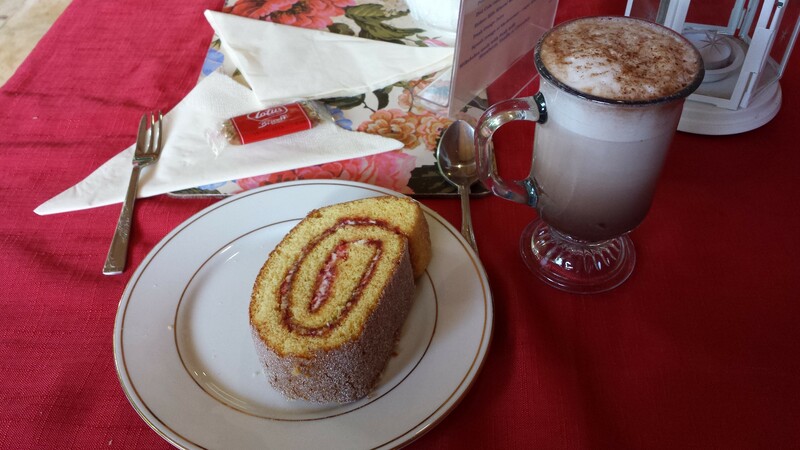 Inside, tea, coffee and a vast array of scrummy cakes await – the only difficulty is choosing which one! I went for a rather attractive jam and sponge affair with a hot chocolate and sat outside on the old platform, briefly immersed in the late 1920s, where a train might have taken me down to Stourbridge Junction, in the heyday of train travel. Walkers along what would have been the track bed back then smile enthusiastically and a small gaggle of ladies on an adjacent table enjoy the delights of this charming venue. This station, for so long silent and train-less is alive once more! 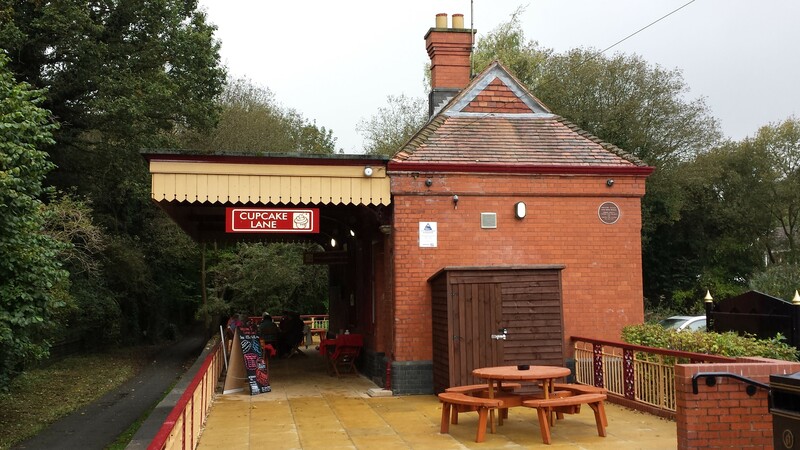 To find out more about this lovely station, visit http://www.cupcakelane.co.uk The station is around 2-3 minutes walk away from the National Express West Midlands bus route 1 from Wolverhampton City Centre. Sometimes, the best trips are impulse ones. Standing in Birmingham New Street station, I decide to take a trip to Hereford – cider country. Back in days of yore, You could also have done this by road – a scenic little ditty on Midland Red West’s “Midland Express” service X92 via a quite comfortable coach, and later in the years following deregulation in the mid to late 80s on a West Midlands Travel Metrobus! Today, the long trip is no more – only bits of it remain, notably Diamond’s 2L from Kidderminster to Ludlow. Today, my mode of transport is a rather elderly London Midland class 150 train – refurbished and just about acceptable for the hour and half trip. Arrival in Hereford is always as it was. The station is a short walk from the City Centre, but my destination is the quaintly titled “Country Bus Station” (as opposed to the “City Bus Station – once a haven for minibuses next to the sprawling Tesco). The Country Bus Station is basic, no frills stuff. Herefordshire County Council use London-style font for their in-shelter information, and are one of a few dwindling Authorities who still produce a timetable booklet (50p) – but available from outlets a good trek away in the City Centre. 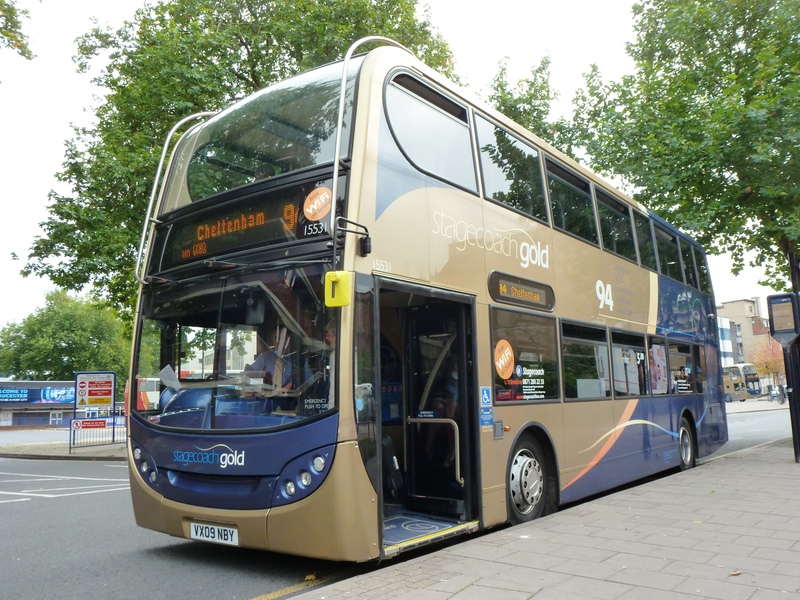 My aim is to try the 33 route to Gloucester – a Stagecoach operation and then on to the Stagecoach Gold service to Cheltenham. This service is hourly and I have around 25 minutes to wait, so I wander around taking pictures of local operations, much to the amusement of locals, who wonder what I’m up to. I digress. I spot the Stagecoach X4 all the way from Cardiff and fleetingly consider a run on that. But it’s 3 and a half hours to the Welsh capital, and I’m not sure my dodgy back could stand it. 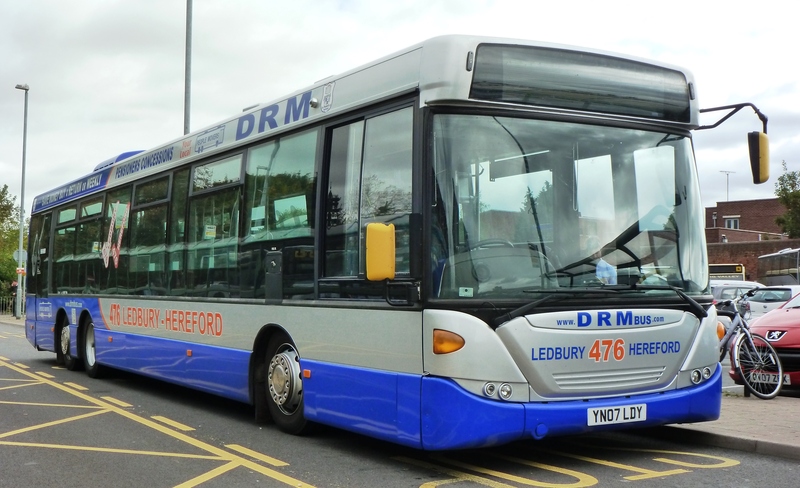 Stagecoach has created a little niche in this part of cider country and it isn’t long before my 33 rolls in showing “Ross on Wye for Gloucester” (more European legislation woes). A handful of passengers board and I ask the driver if there’s a ticket that will let me get to Gloucester and then on to Cheltenham. “Yes”, he jovially responds “£6.50”. And I then have an Explorer ticket in my palm. Upstairs on this standard Stagecoach double decker, the front windows are filthy with remnants of all sorts of insects and flying creatures. The rest of the interior is acceptable enough for this roughly 10 year old bus and we’re soon on our way, first picking our way through the City Centre streets, then out onto the open road with some lovely scenery to see from the best vantage point! We reach Ross-on-Wye. The bus pulls up, engine off and driver off to the small Stagecoach premises opposite. A queue awaits and I wonder if the bus is indeed going on to Gloucester. I’m the only one on here, like a gerbil in a cage, as people look at me from the outside, and I look at them. Within a few moments, another driver appears and everyone boards. We ARE going to Gloucester, as I hear one person enquire, but I wonder how many people make the full through journey. More rambling through delightful scenery and we eventually hit civilisation in the form of Gloucester. It’s been many years since I was last here – indeed on another of Midland Red West’s “Midland Express” coaches in the 80s. That link has long gone too. We pull into the bus station where a very poor scene awaits. 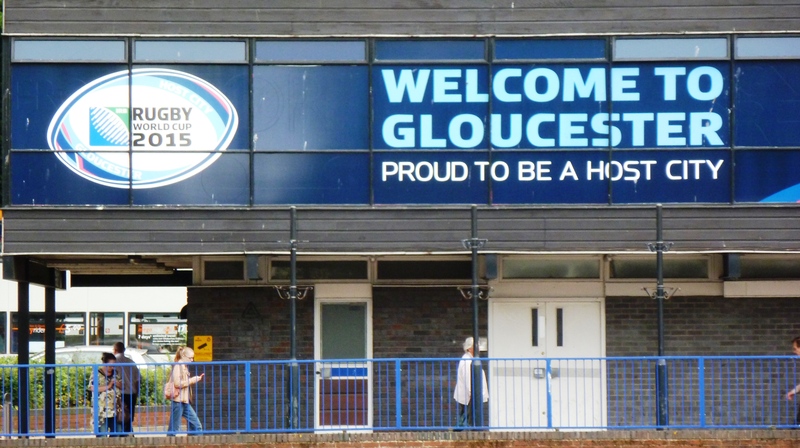 “Welcome to Gloucester – Proud to be a Host City” says a huge sign over the bus station. This refers to next year’s Rugby World Cup. But participants of the sport with oval balls have a less that salubrious welcome, should they arrive by bus or National Express coach (which also serve here) – the place is atrocious! I wander up and down for a few minutes to take in the atmosphere. It’s dark, dingy, information is very poor and it feels totally downmarket. My bus on which I’ve arrived has changed into a 32, but there is no information anywhere pertaining to it. It’s obviously a secret known only to the regulars, a few of which pile on, whilst a young man glares at me whilst I take pictures of the debacle. 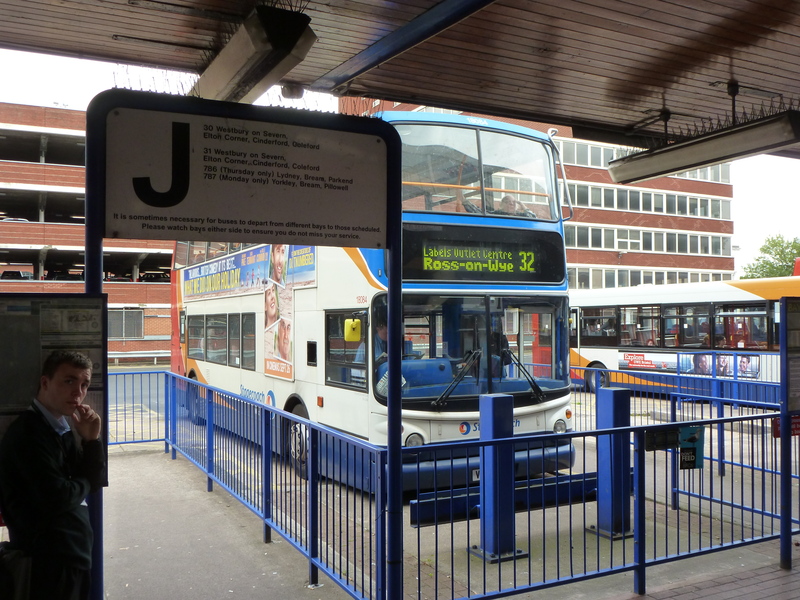 Stagecoach route 32 – where does it go? What time? No information anywhere! Pigeons patrol the area in search of crumbs. I patrol the area looking for “where to board your bus”. The pigeons are unsuccessful and so am I. If you’re not a regular here, good luck to you. Stagecoach’s “Gold” operation doesn’t come in here – and I don’t blame it. Instead, it loads from an adjacent street. So I wander outside from the misery of the bus station and watch this high-frequency, upmarket offering. 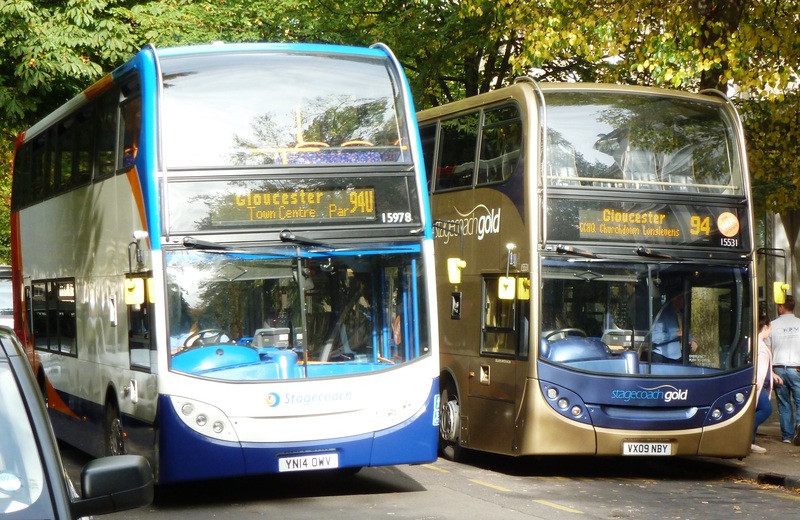 There are 2 “Gold routes” to Cheltenham – the 94 and the 10. The bus stops themselves have “Gold-branded” flags and stops. It feels like a bit of effort has gone on here. The 94 seems the best bet, but one turns up with “94U” on the front, which appears to be some sort of variant for the University. A small crowd board this one and I decide to wait 10 minutes for the next one – a standard “94”. I bend down to take a picture of said bus and am eyeballed by a bald man with hefty-looking beard who, in his seemingly long life has never seen anyone take a picture of a bus before. I eyeball him back with my 6’ 7” 17 stone frame, asserting my right to take said picture. He shuffles off. I board and make my way upstairs on the huge gold machine. It’s posh enough, but there’s a fair bit of litter, and it feels a bit shabby around the edges. But maybe I’m being a bit unfair. These buses have been plodding this route for 5 years, and it’s still miles better than most of the buses I’ve been on in recent years. Unlike Arriva’s “Sapphire” equivalent, these buses don’t have power points. But they have wifi that works! It immediately logs me on and I’m soon checking emails and who’s put a picture of their cat on Facebook. The service is fast, very comfortable and excellently driven. Stagecoach was ahead of the game 5 years ago with this concept, and it’s still well worth the brand. The floor is a bit dirty, but generally, I’m impressed with the service. It isn’t long before we arrive in Cheltenham Spa, aided by some decent bus priority lanes, and it feels rather posh. The Gold service terminates along a tree-lined street and it all feels in place with the surroundings. Here I take more pictures, but no one bats an eyelid, including 2 Police who glance across but obviously decide I’m not a terrorist. 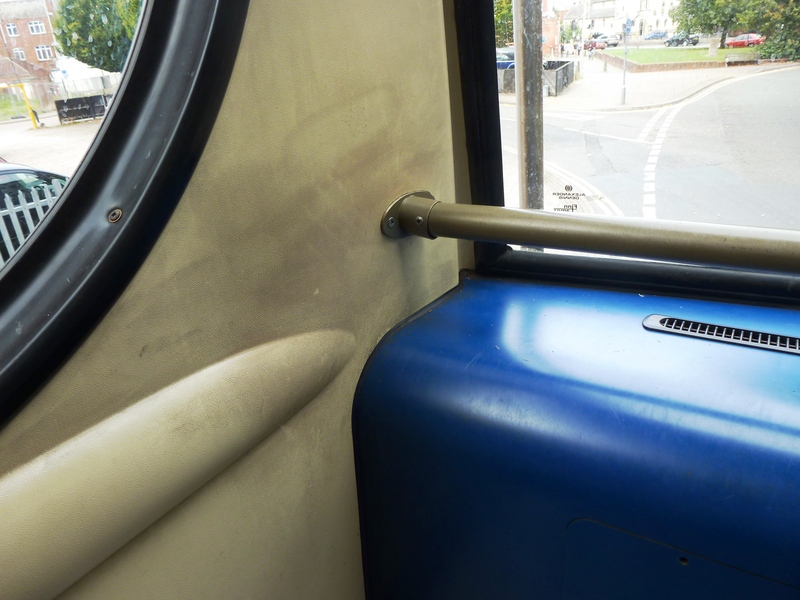 After a mooch around Cheltenham, I decide to return to Gloucester via the “other” Gold service – route 10. These have similar spec vehicles, but are much newer. The 10 takes a different route back to Gloucester, but it’s still all high quality stuff. The wifi on this one though decides to throw a wobbler, after logging me on quickly and efficiently, it then throws me off, says I’m still connected, won’t connect to anything, then shows me a page that suggests I call a helpline for 50p/minute to alleviate my issues. Perhaps the good people of Cheltenham Spa can afford such helplines. I give up and sink further into my luxurious seat and enjoy the journey. And it’s all good stuff. Soon I’m back in Gloucester where I hop on a First Great Western service using noisy class 153 stock back to Worcester, where I connect back to Stourbridge on London Midland. 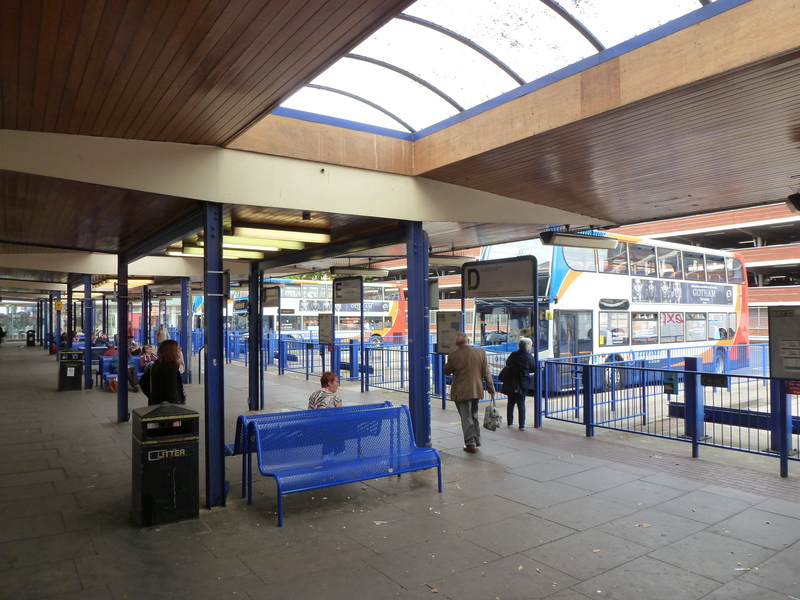 The good news from a Facebook friend is that Gloucester appears set to get a new bus station soon – and it can’t come soon enough!